Blue Raster worked with the National Geographic Society to develop FieldScope, a mapping and analysis tool that puts data visualization and analysis into the hands of people participating in citizen science projects. The application focuses on projects with geospatial data, called “community geography” projects. Members of the public participate in data collection and analyze the data for geographic patterns. Funded by the National Science Foundation (NSF), the application enables any organization working with citizen scientists to quickly and easily create a FieldScope project that will store their data online and analyze it using graphs and other visualizations. By combining traditional hands-on data collection with web-based mapping, users can rapidly deploy, analyze, and share their data with others. It also provides a unique educational tool that enables students and classrooms to upload field data and view it in relation to their peers and the scientific community. 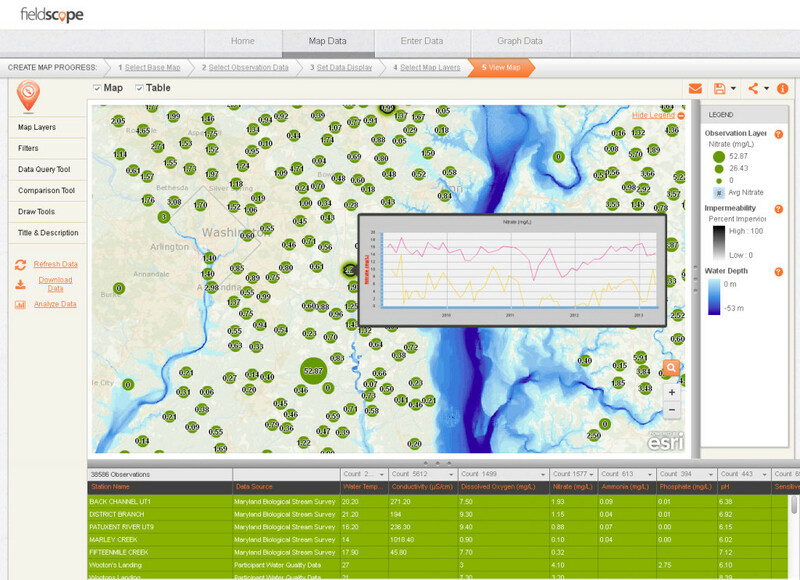 FieldScope was created using Adobe Flex and Flex API for ArcGIS Server. To get started with FieldScope and learn more about the project, visit the National Geographic FieldScope website.